Welcome to Issue 21 of SHAPE Journal. There has been a slight delay in publishing October's issue of the Journal, but here it is finally - the first in a two-part issue on The Shell Universe. Issue 22 will continue investigating these ideas and look deeper into their ramifications. 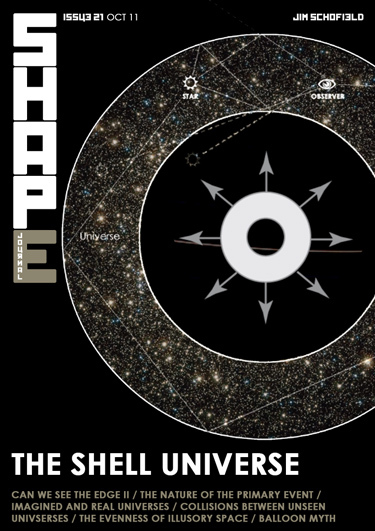 We also have a new video up on our youtube channel, boldly titled, The Shape of the Universe!